Fintech firm AccessPay has brought in James Higgins as product director. Higgins, who has previously worked for Morgan Stanley and latterly the Bank of New York Mellon, has been appointed to help AccessPay "drive forward with innovation in payments and next-generation financial services". 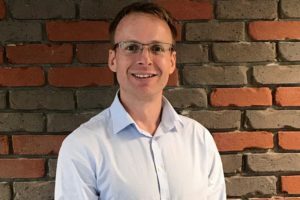 A specialist in cloud-based payments technology with hundreds of UK-based customers and 50 staff, Manchester-based AccessPay recently won a £2m investment from Clydesdale and Yorkshire Bank. Its software sits between customers and their banks, allowing automation of payment transactions more quickly and securely. Clients include Clifford Thames and the AA. Anish Kapoor, CEO of AccessPay, said: “James brings a wealth of knowledge and innovative thinking to the business and we are delighted to have him on board." Higgins added: “I am passionate about the opportunities in leveraging technology to revolutionise financial services and I have joined a team that has a broad spectrum of talented individuals who don’t possess any baggage of how the financial and banking sector has previously operated."